Have you made your New Years Resolution? Have you stuck to it so far? I make cards, that's what I do. So why, oh why can't I seem to have enough Birthday cards to send to friends and family? It seems like I am always scrambling to make a last minute card. 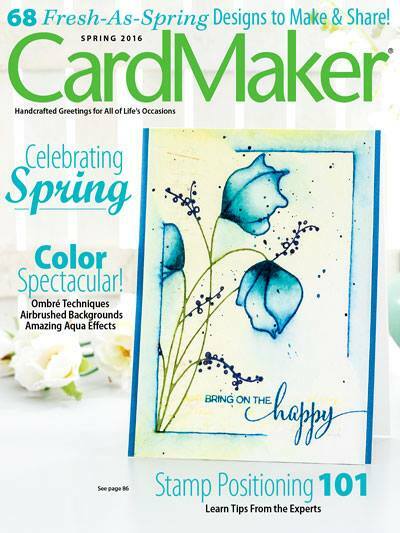 Just goofing around with my Silhouette software and decided on a card front with negative leaves. 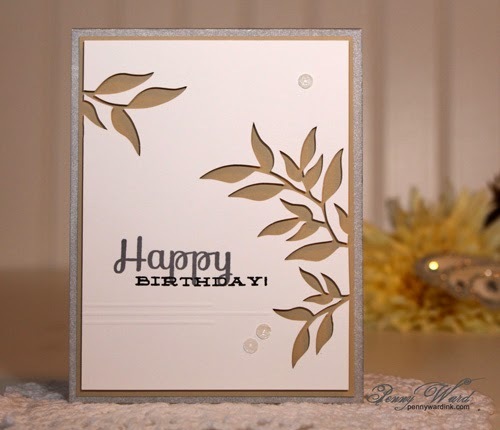 Stamped sentiment in two colors and inked the base card in Delicata Silvery Shimmer. I like all the soft colors together and I say this card could also work for a man. Geniius, I say .. genius! 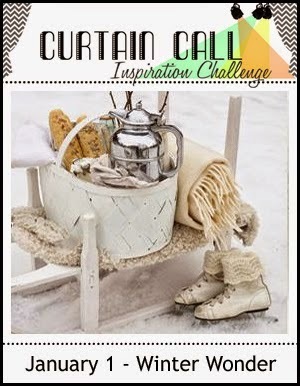 Love the design, the colors and your fun post!! Happy New Year! Looks like you will end up with 183 birthday cards at the end of the year!! Go for it! 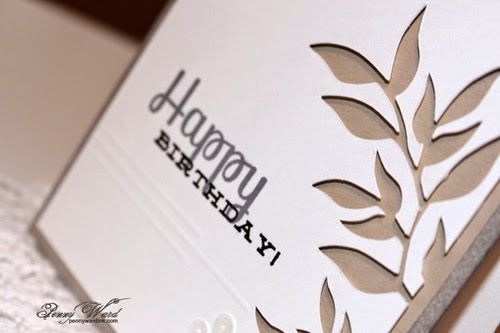 Wow - what a simply beautiful and eye-catching card!! So impressive and I think my favorite things about it is those score lines under the sentiment - a subtle thing that added so much to this excellent card!!! What a great looking card! Love negative leaves! Thanks for joining us at the Curtain Call! So gorgeous and elegant! LOVE those negative die cuts! I love the simplicity of this card, Penny. Congrats on the HM at CC, Penny! So well deserved! This is very lovely! Love the colour combo.